The recital by pianist Marc-André Hamelin, Sunday, March 31, at Davies Symphony Hall was phenomenal. Mr. Hamelin is a great artist. Read this article, then get a ticket to fly somewhere soon to hear him. His technical brilliance is well matched by what appears to be his total immersion in the music; he understands it, he knows it, there is not a note that is not important to him. Not only can he play at warp speed, he can play slowly, even very, very quietly. I am tempted to call it playing “magically,” except it is not magic. The music is real. The musician is of this real world. The program knocked my sox off. Mr. Hamelin, however, is not a flamboyant presence. He is all about the music. J.S. Bach’s Chaconne from Violin Partita in D minor, No. 2, BWV 1004 as arranged by stellar pianist-composer Ferruccio Busoni (1866-1924) opened the performance. It was representative of the now seldom performed 19th-early 20th century transcriptions of Bach’s monumental works. Whatever the historical instrument and performance style fans might think, it was fascinating musically. There was Bach but something different. It thoroughly engaged the listener’s attention. Written for the violin, translating it into piano language gave it different sounds, textures, and a different spirit. It was a wonderful introduction to Mr. Hamelin’s playing as he demonstrated his total mastery over the many dimensions of the piano. Robert Schumann’s Fantasy in C major, Opus 17 is a gigantic work conveying myriad emotions as it ventures into different rhythms and suggests images. Having seen Mr. Hamelin play it, one can barely think anyone else would approach its technical difficulty and multiple meanings. The music explodes with Romantic energy and ideals and, in its third movement, seems to hover in moon glow. It is sometimes closer to a symphony than a sonata and draws on all of the young Schumann’s piano knowledge and technique as well as imagination unbound. 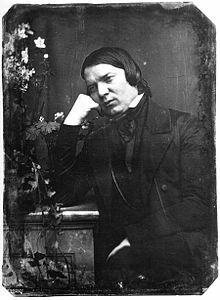 Schumann wrote part of it in 1838, during the time he was separated from Clara Wieck, his true love, by her father. He wrote to Clara telling her, “I think it is more impassioned than anything I have ever written–a deep lament for you.” Yes, romantic in every sense. They were married in 1840: she recognized as one of the great if not greatest pianists in Europe and he as a leading composer. Let us leave their history there before the tragic story’s end. 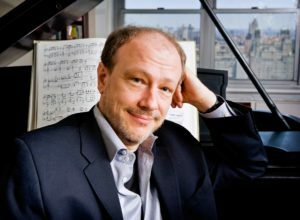 Mr. Hamelin is known for exploring less well known composers as well as the most celebrated, classical masters. His program included Six Arrangements of Songs Sung by Charles Trénet. Mr. Hamelin found a recording, Mr. Nobody Plays Trénet, of Trénet’s songs which typify French cabaret in the era from 1930s-1950s. The pianist who recorded the songs was Alexis Weissenberg (1929-2012). Mr. Hamelin created a score from listening to the recording and then received arrangements of four of the six songs from Mr. Weissenberg’s granddaughter. The performance of the six very different songs was a delight: personal and intriguing music with a special lilt and character. A wonderful addition to the recital. Mario Castelnuovo-Tedesco’s Cipressi (Cypresses), Opus 17 was a revelation to those of us unfamiliar with this composer. The music calls out visions of the cypress trees which were in the environment of the place in Italy where Castelnuovo-Tedesco spent summers in the 1920s. For this listener, the image of eucalyptus in the Bay Area mist immediately came to mind. It is a relatively brief, but beautiful and completely original work. The composer wrote extensively for the guitar as well as piano, symphony and voice. Like other artists who were fortunate to leave Europe in the 1930s, Castelnuovo escaped to Los Angeles in 1938. The beauty of this composition with its slightly mysterious sound impels me to look for his operatic work for Shakespeare’s All’s Well That Ends Well. One may often hear Chopin’s work described as “jewel like” meaning both brilliant and, especially in comparison to a symphony, small. The thing about Chopin’s work is that it is perfect. This was my rejoinder to a friend who thought Chopin’s lack of symphonies made him less a composer. No. His work is perfect, that is in addition to enchanting, beautiful, entirely only itself. The two pieces chosen by Mr. Hamelin, the Polonaise-Fantasy in A-flat major, Opus 61, and the Scherzo No. 4 in E major, Opus 54, were vigorous and large, full of invention. Chopin’s performances and compositions helped to enlarge the piano’s world in technique and sound. Mr. Hamelin seemed to revel in the bright, ebullient and continually challenging music, and so did the audience. Standing and cheering for Marc-André Hamelin, the audience brought him back for bows and then received two encores. The first was his own composition, Toccata on L’homme armé. Fast, incredibly intricate, it had thirty premieres as all the contestants in the 2017 Van Cliburn contest had to play this work by Hamelin, one of their judges. Bowing to the insistence of music lovers greedy for more, Mr. Hamelin also played Herberge from Schumann’s Forest Scenes. It was played lovingly, and with careful attention to the unusual phrasing and a surprise rest before the delicate ending. Mr. Hamelin performs all over the world, and he will be in Madison, WI, April 12- 14. The ice has probably melted. You will be glad to be there even if it has not. This entry was posted in Hedgehog Highlights and tagged Alexis Weissenberg: Six Arrangements of Songs Sung by Charles Trénet, Bach-Busoni Chaconne from Violin Partitia in D minor no. 2, BWV 1004, Charles Trénet, Chopin, Chopin Polonaise-Fantasy in A-flat major, Chopin Scherzo No. 4 in E major, Clara Wieck, Ferruccio Busoni, J.S. Bach, Marc-André Hamelin, Mario Castlenuovo-Tedesco. Mario Castlenuovo-Tedesco: Cipressi, Opus 17, Opus 54, pus 61, Robert Schumann, Schumann Fantasy in C major, Toccata on L'homme armé on April 3, 2019 by Leslie.